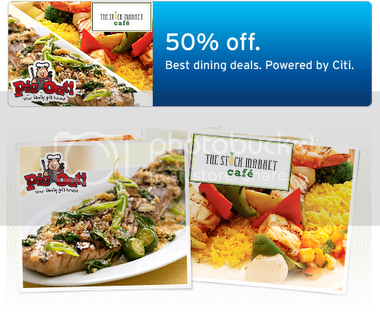 To All Citibank Credit Cards owners, here’s the latest FREE treats from CitiBank Promo. Now everyone can enjoy exclusive CitiBank promo and discount while using your Citi Bank credit cards. This is the best time to gear up and break a sweat with adidas! You now can have an exclusive 20% off on your first purchase plus free shipping when you shop online at Adidas Online Website with your Citi credit card. You just have to choose from a wide range of products and avail of a 20 Percent discount and free shipping on nearly all full priced items. Please remember to always use your Citi credit card when you pay and enter the special promo code CITI20 upon check out under the shopping cart tab. Exclusions to the offer are Boost Running Shoes, headphones, watches and fitness equipment. Its truly amazing to be a CitiBank card holder. Here’s another Citibank 2.00 Peso Promo treats for you. This time it’s with Hunt’s! Everyone need to just spend a minimum single-receipt purchase of at least P2,500 from Feb. 6 – 9, 2014 using your Citi card, then you can buy a spaghetti pack for P2.00 only from Feb. 12 (starting 12 noon) to February 14, 2014 at selected Robinsons Supermarket Stores. Its your rare chance to get your CitiBank treats for only P2.00 with your Citi cards promos! Here’s another superb deal. Citibank Cardholders get an exclusive 20% off on ALL regular-priced women’s wear, men’s wear, and lingerie at Marks & Spencer. Promo period is from January 30 – Feb. 1, 2014. You can get a Krispy Kreme promo and exciting travel package deals you will enjoy with the whole family. Today, everyone can enjoy a Krispy Kreme Holiday Collection box for only P2.00 with your Citibank credit cards. Here’s the delicious treat! For a minimum single-receipt purchase of P2,500 using your CitiBank credit card from February 14 (Friday) to February 18 (Tuesday), 2014, then you get to buy a box of 6 Original Glazed Doughnuts from Krispy Kreme for only P2.00 pesos from February 22 (Saturday) to February 26 (Wednesday), 2014 at selected Krispy Kreme Branches nationwide. All Citibank cardholders may enjoy this P2.00 treat this 2014! Get all the Krispy Kreme doughtnuts that you can eat! Just spend your Citibank credit card from November 13 – 19, 2012 with a minimum single charge slip of P2,500. You can claim your Krispy Kreme promo treat from 23-29 November 2012. You can claim your free box at participating Krispy Kreme branches by presenting your Citibank credit card with receipt of purchase. One box of Krispy Kreme Holiday Collection box contains 6 Original glazed doughnuts plus 6 assorted Holiday doughnuts. Remember : One charge slip of 2,500 pesos = 1 Krispy Kreme Holiday Collection box for only 2 pesos. and The Stock Market Cafe. Promo runs from November 19 – 22, 2012. Just spend anywhere your Citibank credit card for a minimum charge slip of P2,500. Shop more and enjoy this dining treats. But wait here’s more. You can enjoy 50% discounts when you buy Krispy Kreme items using your Citibank Credit Card or Citibank Debit Card at all branches of Krispy Kreme. Its just easy to get these half-priced Krisp Kreme promo treats. Just Purchase at least P200 worth of Krispy Kreme products in a single receipt using your Citibank Credit Card or Citibank Debit Card at all branches of Krispy Kreme. The credit/debit cardholder can then gets a box of 12 Original Glazed Doughnuts for the price of a box of 6 Original Glazed doughnuts. That’s a real 50% discount. Isn’t this great. The promo offer cannot be used in conjunction with other promotional offers, privileges or VIP cards. Discounts and privileges are not exchangeable for or convertible to cash, credit or other goods and services nor allowed as payment for the card dues. This promo treat is open to all Citibank Credit Cardholders, Principal and Supplementary and Debit Cardholders, whose cards have been validly issued by Citibank, N. A. Philippines and Citibank Savings Inc. And the cardholder must have to be active and in good credit standing. Maximum of 2 boxes per redemption/per card/per day. This promo offer by CitiBank Credit or Debit Card is valid for dine-in and takeout transactions between September 15, 2013 – November 15, 2013. Here’s the new Citibank Mastercard Promo 2013 for you. Everyone can win 1 of 120 VIP Resorts World Sentosa Singapore Travel Package. This CitiBank Credit Card Promo is within the purchase period from October 01, 2013 to December 31, 2013. Juust earn one electronic raffle entry by using your Philippine-issued Citibank MasterCard credit, debit or prepaid card to your straight-charge purchases of at least PhP3,000 in a single receipt at The SM Store with SM Advantage/Prestige Card. See and feel the wonderful Raffle Prizes to be given away. One Hundred Twenty (120) winners will be drawn. Each winner will be awarded a 3-Day/2-Night VIP travel package for two (2) persons to Resorts World Sentosa Singapore. 1. Non-winning entries will be carried-over to the succeeding raffle draws. 3. Prizes are Tax Free. The Prize Tax will be paid by The SM Store where applicable. Remember, this Citibank Credit Card Promo 2014 and 2015 is from a limited time only. So go now and win the exciting prizes that awaits you as the lucky winner. Citibank is considered to be the largest major foreign/international bank in the Philippines today in terms of assets, customer, revenues, employees, and number of domestic branches nationwide. Not yet a Citi cardholder? Check out the CitiBank Credit Card Application Requirements and become a member and cardholder at the soonest possible time. Inquire about Citi credit cards features like no annual fees, no late fees, no penalty rate ever, and its new ZERO% Intro APR on purchases and balance transfers for 12 months. Its really quite easy to apply. Just log on to citi Bank Website or call the 24-hour CitiPhone Hotline at 995 9999. Getting online forms is really quick and easy. One Response for "Citibank Credit Cards Promo Treats 2017 and 2018"
Please send me your latest news promo.